Knorr wants everyone to enjoy every meal of their day. 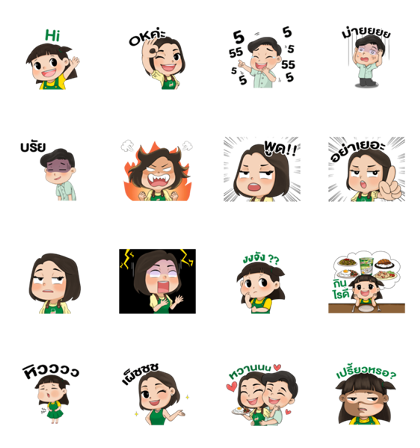 Friend Knorr Thailand’s official account and answer a quick survey to receive these heartwarming stickers for free. Fun for the whole family! Expiry Date : Available till February 17, 2019. Posted in Animation, Free, Temporary, TypeTagged Knorr, Official, Thai Language, Unilever Thai Trading Co. Ltd.